1) It’s difficult to remember that we have victory in Christ. Make a note for your bathroom mirror to help you keep this important truth nearby! 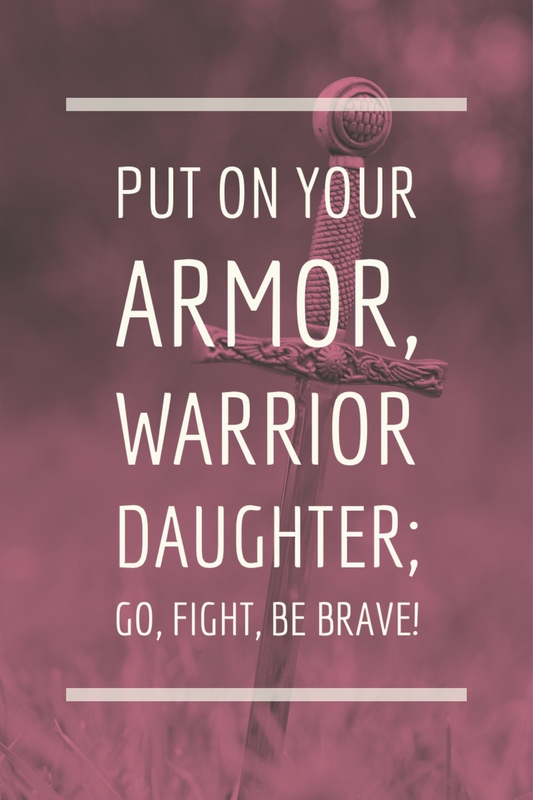 2) Which piece of the armor of God do you need to “put on” today to help you be brave? 3) When you approach the throne of grace in prayer, do you ask confidently, believing He is capable of giving anything & everything? Or do you doubt He is able and half-expect Him to ignore you? Reflect on why you pray the way you do. Lord, I often feel so incapable; like I’m lacking the ability to do anything well. Father forgive me for letting that fear cripple me. Take away that fear and show me how to walk bravely with You. Abba Father, today as I go out to battle the world of temptation and sin, equip me to walk in a way that’s honoring to You. Cover me with Your angels, let them fight on my behalf. Thank you God for giving us the same victory you gave Jesus as He came back to life conquering death. Show me how to walk bravely this week! At the time of this writing, we are saying goodbye to our son. Our foster son. He’s been in our home for about four months. Though we are sad to see him go, I believe that, as the next chapter unfolds for him, it will be an amazing story of God’s grace and faithfulness. (We became foster parents several years ago and most of the stories don’t leave us with the happy-ending feeling. I’m so thankful this one has!) Through the years of fostering, I’ve witnessed an interesting dynamic that I couldn’t have fully understood if I hadn’t seen it firsthand. Most foster children have a great deal of insecurity about asking for something. When they first come into our home, they have little assurance about their position in our family. Almost none of them walk in assuming we’ll joyfully meet their needs. Low expectations have become their default. In our family, our children made requests. In fact, they typically ask for things from us with confidence – even when they had been misbehaving – because they’ve learned that for us to withhold what they needed went against our character as loving parents. Because of their life experiences, fosters do not have much trust that they will have their needs met, and often don’t ask for what they need. When they do ask, it’s with hesitation and fear that their request will be criticized or rejected completely. I’m sad to admit that this scenario is much like my prayer life. I approach God with low expectations. But walking on eggshells to the throne of grace is not what God desires. 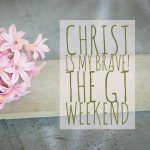 Being on my best behavior for an entire day is not a prerequisite for coming to God in confidence. I am accepted and loved because of the Father heart of God. But too often we approach praying as if we are foster children. 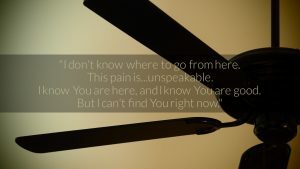 We sheepishly tiptoe into God’s presence and mumble our requests, almost certain we aren’t going to receive an answer. The writer of Hebrews reminded the people to have confidence in God’s provision because He would never abandon them. (Hebrews 13:5-6) When we enter the Throne Room of the Father’s amazing grace, we don’t need to pray as if we are His foster children. As those who have been baptized into Christ’s life, we are adopted! (Galatians 3). He has invited us into His family and we have all the benefits of being one of His own! Approaching God with boldness doesn’t mean we come to Him arrogantly. Jesus taught the disciples that prayer starts with acknowledging the greatness of the Father and our desperate need for Him. Our prayer posture should always be one of humble boldness. (Don’t you love the scripture’s paradox!) James tells us “if anyone is deficient in wisdom, he should ask God, who gives to all generously and without reprimand.” I have a good, good Father who desires to give me good things. 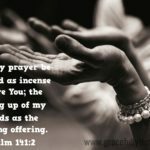 why do I continue to pray wimpy prayers, half believing and half doubting? It must be because I lack confidence in Who He is. Our God is not a temporary foster dad. It’s our spiritual birthright to pray with confidence in our God’s ability to intervene in any situation. He desires for us to pray with boldness and courage, not because we have it all together, but because He holds it all together! One definition of bold is: beyond the usual limits of conventional thought or action. 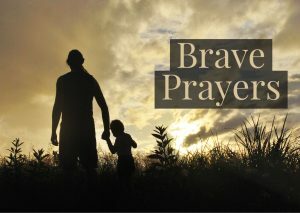 Praying brave prayers demonstrates that we have faith in a gracious and generous Father. THAT’s the kind of praying I want to practice! Thanks for joining us today as we journeyed into Brave Week Two! Here’s a link to all past studies in Brave! 1) According to these verses, what is really behind our struggles? 2) What is “the evil day” in verse 13? 3) How do the different pieces of the armor of God help us? 1) When Paul says, “we do not wrestle against flesh and blood,” it means that our struggle isn’t physical. It is spiritual. That’s not to say that there aren’t real physical aspects to our struggles—illnesses, financial troubles, relational troubles, and the like are all very real. But Paul is saying that behind all those physical troubles is a spiritual battle for our souls. The real enemy isn’t the face of the struggle, but the Evil One behind it, Satan. Will we give in to lies that lead to anger and despair? 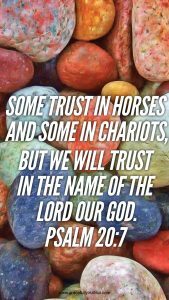 Or will we trust that God will strengthen us to fight for truth and joy in the midst of these battles? 2) Paul tells us to take up the armor of God so we can stand firm in the evil day. Is he talking about the end of the world, or some other specific future day? If we look at a cross reference, we go back just a few verses to Ephesians 5:15-16, which says, “Look carefully then how you walk, not as unwise but as wise, making the best use of the time, because the days are evil.” Paul is talking about the current days—the ones the Ephesian believers lived in, just like the days we currently live in. 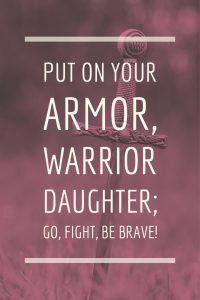 We live in a world that is totally messed up by sin, and we need to put on the armor of God every day. Again, our battle isn’t what we see, it’s really against what we can’t see; it’s truth vs lies and the only Victor is Christ Jesus! 3) Our spiritual armor is made up of truth, righteousness, the readiness of the gospel, faith, salvation, the Word of God, and prayer. These protect us from lies, from the consequences of an unrighteous life, from hopelessness, and give us the tools to fight back against the Devil’s schemes. There is so much to unpack from this passage when it comes to the meaning of the pieces of armor that this short study doesn’t have time to cover it all. I highly recommend that you spend some extra time meditating on these verses today, or read some of the commentaries found at studylight.org to gain further insight. 1) What are my current struggles? What are the spiritual struggles hiding behind them? Knowing that our battles are spiritual can bring meaning to them and give us hope. 2) Although our present times have many reasons for hope, these days are evil, and will be until Christ returns. Is standing firm in my faith a focus for me? Do I see an urgency to walking wisely and making the best use of time? 3) Remember that God has given us everything we need for life and godliness (2 Peter 1:3), and that he has told us how to arm ourselves to stand firm against the devil’s schemes. 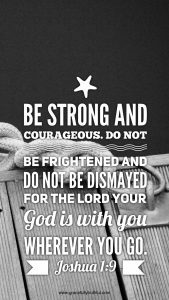 Be strengthened, be brave! Looking for yesterday’s Journey Post? 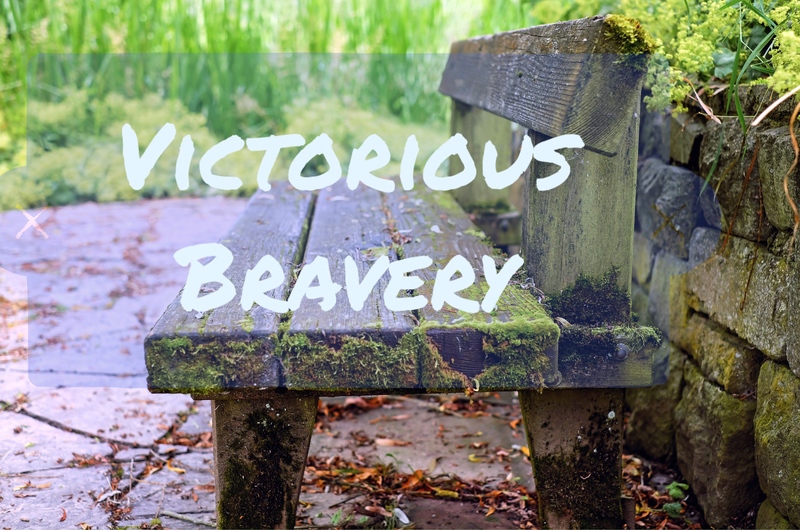 Check out Victorious Bravery! 2) According to these verses, from what and by whom does God strengthen us? 3) How can we be filled with the fullness of God? 4) Verses 20-21 give us a perspective and purpose for this prayer of strengthening. What is it? 1) If we look back just one verse, we read “So I ask you not to lose heart.” Then in verse 14, we read, “For this reason I bow my knees before the Father.” Paul doesn’t want the Ephesians to lose heart, so he prays to God that they be strengthened. This prayer of Paul’s has been preserved throughout the centuries to encourage you and me not to lose heart! 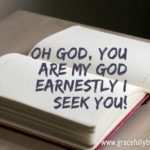 3) Working backward from verse 19, we see that we will be filled with the fullness of God if we know the love of Christ, if we comprehend the breadth and length and height and depth of it. How do we understand this love? Through the strength given to us by the Holy Spirit, as Christ dwells in our hearts. 4) Paul wraps up this passage with a reminder that the whole purpose of God’s working in our lives is to bring Him glory. Strength and power for their own sake are poor motivators, but considering how our lives can bring glory to God through His power at work in us gives lasting hope and endurance. To Him be the glory! Amen! 1) Here we see Paul praying that his fellow believers would be strengthened. Let’s follow Paul’s example and pray for specific believers we know who may be losing heart. Make a prayer battle list right now – who does God want you praying victory for? 2) Am I striving to do God’s work or make myself Christlike on my own power? Good works manufactured by our strength is much easier to do than we would like to think. Consider even just today, in what ways are you leaning on your own strength, your own understanding, your own abilities? The ways God shapes our hearts to make us more holy is His Work Alone and we can add nothing to it. God clearly tells us that it is His power at work in us. Rest in the knowledge that you can cease striving and allow the Holy Spirit to do His work in you. 3) Pray that the Holy Spirit would help you to comprehend just how great Christ’s love for you is. Then read and meditate on these verses that talk about this love: Romans 5:8, 1 John 4:10, Romans 8:35-39. Go ahead and take 5 minutes and read each of them now, take a few more minutes later in your day and make a quick list of ways God loves in today, right now, in this everyday moment. 4) Am I focused more on how my work for Christ is going, or on how it is bringing glory to God? Lord, give me proper perspective to realize that everything I do, and you do in me, is for your glory. May you be forever praised! 1) How have you experienced the ups and downs of walking with Jesus? In what areas do you find yourself getting the most discouraged by fear or circumstances? Look up some verses on the victory Christ gives us and choose one to memorize! 2) What are you doing currently to train for bravery? Consider starting a new spiritual discipline and see where God takes you! Carving out time for Bible reading, making a prayer journal, or fasting are great ideas to kickstart a deeper faith walk. Father God, thank You for the gift of Your precious Son. We praise You for Your Word filled with example after example of people that chose faith over fear in the face of difficulty. Thank You for showing us a perfect example of how to be brave in the death and resurrection of Jesus. Remind me to cling to the truths You have promised as I walk onward in faith. Holy Spirit move in my heart. Embolden me to make your name great by bravely speaking truth. Bring people in my life that will encourage me to do that, let me encourage them too. I pray Lord Jesus that You would remind me of the victory I have when I walk with You. Let me hear from you as I choose faith over fear regardless the situation I’m in. “I am so tired of this!” My voice rang out harsh, exasperated. 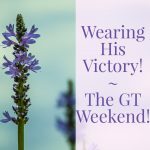 Pain flickered across my husband’s face as I stormed into the other room. I closed the door and stood motionless in the center of our bedroom. Memories spilled across my senses, and my breath caught in my chest. My mind and heart knew that our infant daughter was gone, but my body seemed slow to accept that reality. The gentle pulse of the ceiling fan pulled me back to the present. My throat, choked with anger only moments before, was suddenly empty save the hollow ache of loss. My clenched fists loosened and my arms began to throb with now familiar pangs of emptiness. I dropped my head in shame. Yet again, I was driving away my partner, my lover, my friend. Rather than brave the crippling pain that crept over me at the most unexpected times, I chose denial of my true emotions and a less painful one (anger) instead. Not anger at God, but anger, nonetheless. Our future together, once so clear and hopeful, seemed obscured by a dense fog. I loved my husband, but I just couldn’t seem to see past my grief. At a time when bravery, truth, and love were most needed, I faltered. Long ago, a similar scene enfolded. “I don’t know what you are talking about!” Even as the words flew across his lips, a wave of nausea washed over him. He had done it. He glanced up, and the Man across the courtyard caught his gaze. Time seemed to stop, and the voices around him faded as his ears registered the distant echo of a rooster’s crow. Sad, gentle eyes locked with his own. Seeing all. Forgiving all. The pull of regret was strong, and as the sobs began to rise, he turned to run. Simon Peter, the Zealot. He desired knowledge, wisdom, and to passionately follow Christ. He was fervent, driven, and human. He wanted to keep the One he loved safe, to the point of harming another, even when he knew that Jesus was destined to die by divine plan. And then, when he most wanted to prove loyal, brave and true, he faltered. Peter denied Jesus, the One he loved, the Son of God. And yet, Jesus proclaimed that on Peter He would build His church. He was and is God Incarnate, which means He is omniscient (all-knowing), omnipresent (all-present), and omnipotent (all-powerful). Jesus knew that Peter would fail Him, but He also knew that Peter’s better days were coming. He knew that the power of Holy Spirit is real and when He descended, His influence was unstoppable. He knew that through Holy Spirit, men and women can be changed, redeemed, restored, reshaped and rebuilt. Not just Peter, but you and me. He knew that through the redemptive power of Holy Spirit, the same man that had faltered, that had denied Him in His darkest hours, would later boldly proclaim that Jesus was the Christ. Peter, once weak and fearful, was completely and totally changed. 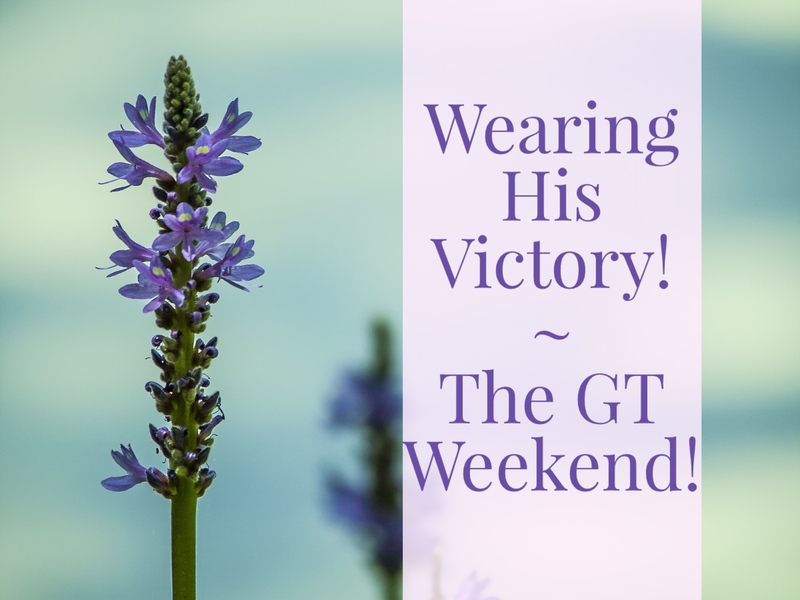 Rather than holding on to the shame he so easily could have worn in the aftermath of his denials, he chose instead to shed it for divine forgiveness and grace. Transformed by the power of Holy Spirit, he was fearless in the face of the very men that crucified Jesus. And not only fearless, but bold. Proclaiming truth in love to crowds of people. Thousands accepted Christ in the wake of Holy Spirit’s transformation of Peter…and His power is no different today than it was then. Bravery can look like many things, but at its core, bravery proclaims Truth with Grace, whether to a friend, to our marriage, to our children, to a stranger, or to ourselves. Bravery faces our darkness and asks for powerful Light to free and fuel us. And while it may not be our natural inclination, we can take heart that through the transformative power of the Holy Spirit, bravery is ours, too. Jesus’s sacrifice paved the way for us to be convicted, wrecked, redeemed, and restored, that we might face whatever lies in front of us with the supernatural bravery that comes only through Him. Looking for yesterday’s Journey Post? 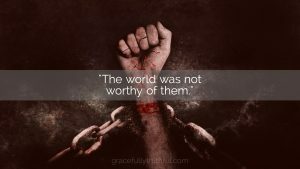 Check out The World Was Not Worthy of Them! 1) What did “take up his cross” mean to Jesus’ original audience? 2) What does it mean to “forfeit” one’s soul? 3) What event is verse 27 talking about? What event is verse 28 talking about? 1) You may have heard the phrase “my cross to bear,” meaning some burden that a person feels they have to carry in their life—but this is a modern expression. Jesus lived in first-century Israel, which was ruled by the Romans. The form of execution that the Romans used for the worst criminals was crucifixion on a cross. The criminals would be forced to carry their own cross up to the hill where they would be executed. When Jesus said “take up your cross and follow me,” his listeners would have thought of nothing but the instrument of execution. It was a call for total surrender, even being willing to die to follow Christ. 2) Christ is telling us that we must deny ourselves (forfeit the pursuit of our desires) and take up our cross (be so committed as to be willing to die) in order to follow him. But those who don’t deny themselves (those who try to save their lives) will ultimately lose their life—forfeit their souls. The word translated “forfeit” means to injure or lose, and since the context is about salvation and judgment, we know that this forfeit is for eternity. Rejecting Christ carries such a high cost! Denying ourselves gives such a precious reward. 3) Although these two verses are back to back, they are not talking about the same event. Verse 27 talks about the final judgment that will happen in the end times. But verse 28 refers to something that happened during the lifetime of those who were listening. Seeing “the Son of Man coming in his kingdom” refers to seeing the resurrected Christ. 1) First-century Christians knew that following Christ could very likely lead to their death. As comfortable American Christians, we sometimes hide behind the safety of our country’s protections, to the point that in reality, we value our safety more than we value Christ. Or our routine. Or our stuff. Or our pride. Examine your heart. Is there something risky God has been calling you to do (or to allow your children to do) that you have said no to out of fear? Although wisdom is necessary in every situation, physical safety is not as important as following God. 2) This passage can serve as a warning to those who have not chosen to put their trust in Christ. 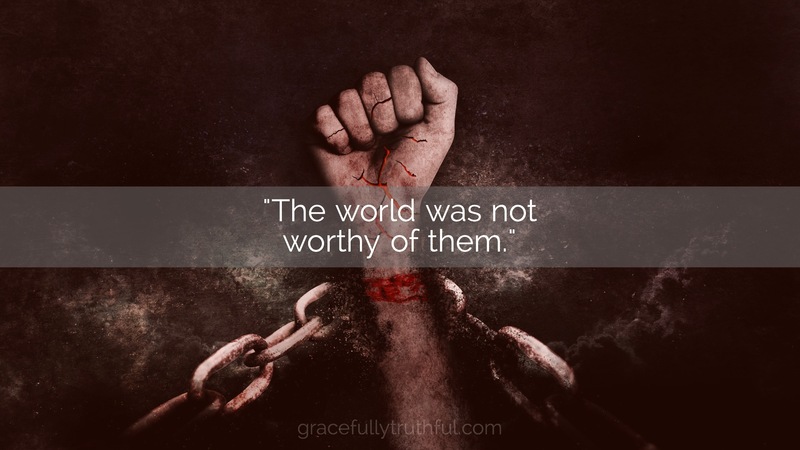 Worldly gains are nothing if your soul is not secure for eternity! Have you trusted that Jesus Christ died on the cross to pay the penalty for your sins, so that you can have a right relationship with God? If so, is your life markedly different? Are you sharing what you’ve been given with others? 3) Christ offered a warning of judgment, but in the next sentence, he predicted the coming of his kingdom. Praise you, Father, for not leaving us stuck in our sinfulness, but for making a way for us to live with you for eternity! Our challenge is to take both words of Christ seriously and let our life choices be directed by the truth of them. Sin is serious. Yours, mine, and the people we see in everyday life. It separates us from God for eternity. But Hope Can Be Ours In Jesus! Own them both, carry them both. This is the very essence of Truth and Grace!